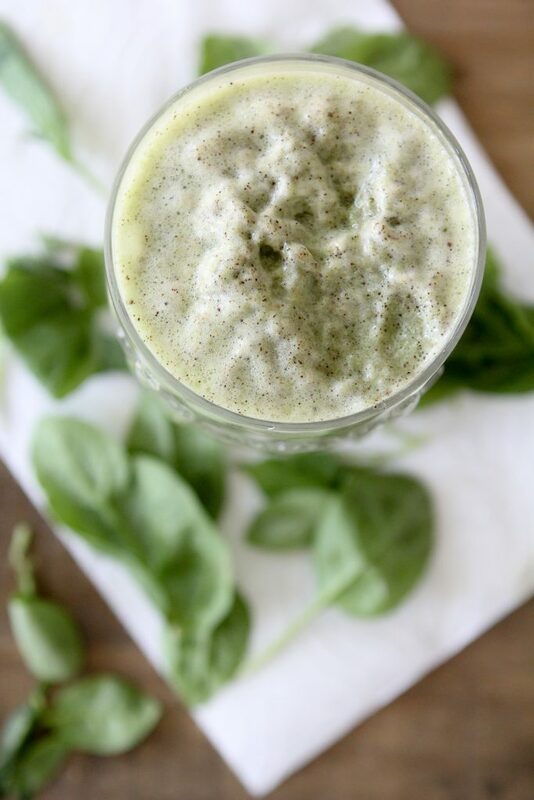 Spinach + Cacao Protein Shake from the Whole Smiths. Using Rootz Protein Superfood , it’s a great on-the-go option for getting in extra protein and veggies. All week long I’ve been posting on my Instagram stories a series I’m doing called #whatsinmyshake or #whatsinmysmoothie. 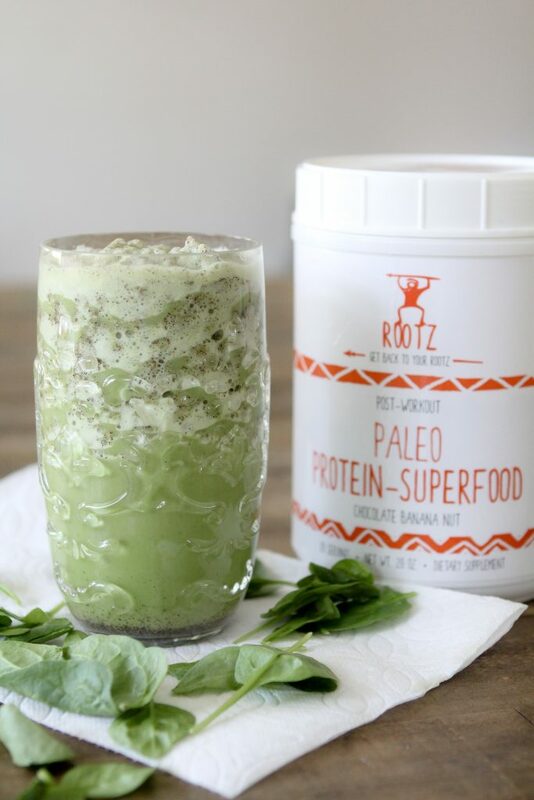 Each day I’ve been sharing with you a new way to use Rootz Paleo Protein Superfood in your smoothie or shake. 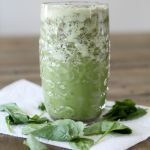 I’ve also been sharing with you how I incorporate smoothies and shakes into my diet. Hint: it’s never as a standalone meal. Here’s the deal, I love having a convenient source of protein and nutrients available to me (and Rootz is just that) but I always have my smoothie / shake in conjunction with what I’m already having to supplement my meal. For example, mornings around here can be a real pain in the A. Mothers around the globe feel me on this. When it takes your 5 year old 10 minutes just to put on a pair of shoes, you know your time is limited. Therefore, I’ll make a quick breakfast up for us but often we’re left rushing to eat it. However, I can bring my protein shake / smoothie on the go with me. For example, last week I fried up a couple of eggs and had some sauerkraut alongside that but I didn’t really have time to prepare a vegetable. So instead I grabbed my Rootz Protein Superfood, some almond milk, ice, and a handful of spinach and blended it up. I poured it in a cup and off we were to drop off. 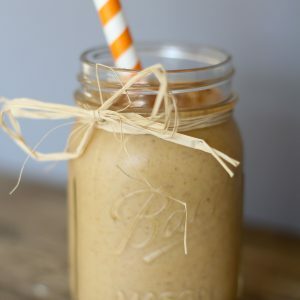 I also use smoothies and shakes as an afternoon snack and it always ties me over to my next meal. In order to maintain a clean diet consistently, we need convenience products. And Rootz Paleo Protien Superfood is just that. So let’s talk about Rootz for a moment, shall we? First, it’s the only protein powder we use around here these days and I feel comfortable giving it to my children. Other protein powders are loaded with far too many chemicals. And while I’m all about balance and not perfection, I can’t wrap my head around just how many unrecognizable ingredients are found on those labels. Rootz however, doesn’t have that. All of the ingredients are derived from real food. And with 15 grams of protein and just 3 grams of sugar in each serving, I feel good using it and giving it to my children. For a full list of their ingredients you can hop over HERE. 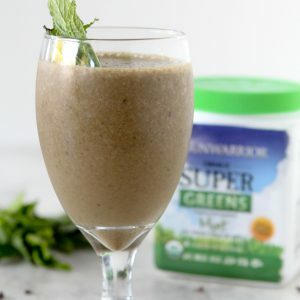 Outside of just protein, you can find all sorts of other nutrient dense foods in their powder just as maca, chia and flax seeds, chlorella, kale, spinach and more. Can you see why I love it yet? Once you go Rootz, you never go back. Isn’t that what they say? I’ve also used Rootz Protein Superfood in chia pudding and with some (decaf) coffee and almond milk for a mix between a latte and a smoothie/shake. A lattie? A lake? Hmm, doesn’t quite have the same ring that Brangelina did. Speaking of coffee and energy, Rootz also has a Pre-Workout Energizing Superfood. As someone who drinks decaf coffee it’s a bit more energy than I can handle but my husband uses it and loves it. You can check that out on their site as well. Feel free to click any of the links in this post to check it out for yourself. Please know that these are affiliate links however I will only recommend products to you that I truly love and use regularly, like this one. 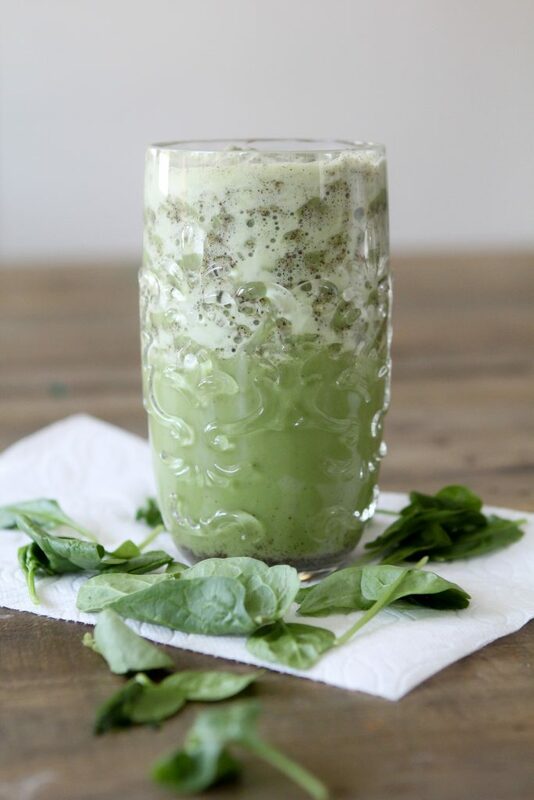 Spinach + Cacao Protein Shake from the Whole Smiths. 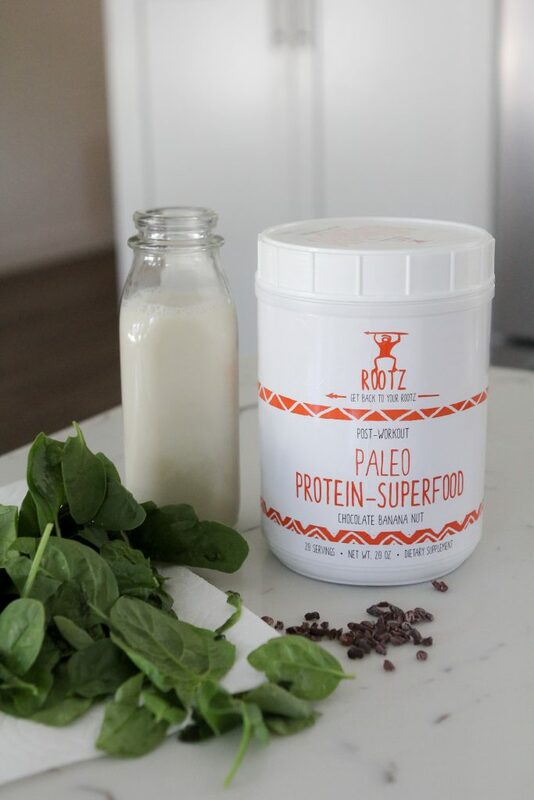 Using Rootz Protein Superfood , it's a great on-the-go option for getting in extra protein and veggies. 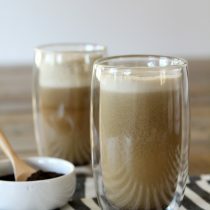 Add all of the ingredients to a blender and blend on high until creamy and frothy.